Power and control for high-performance saloons. 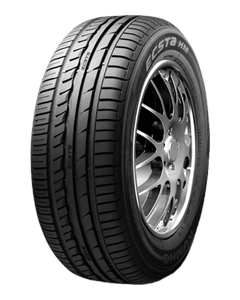 Renowned for its well-balanced performance, the Kumho KH31 is perfect for drivers of higher powered saloons and estates who are looking for high-speed stability and excellent all-round performance. Now fitted as original equipment to the BMW 3 series. Sorry, we currently do not have any tyres with the KH 31 pattern in stock.